We offer dozens of courses in person and online with discounts for our member companies! Undoubtedly, OSHA has ramping up inspections with a vengeance and your organization could be their next target. Subsequently companies need to know what inspectors are looking for and have a plan before the inspection! Online OSHA 10 & 30 Hour: Training That Puts You Markedly In Control through Summit Training Center! Undeniably proven to be without a doubt one of the most efficient and easy-to-use means of obtaining your DOL/OSHA course completion card, Summit’s Online OSHA 10- or 30-Hour training undoubtedly sets the cornerstone for a safe working environment. Indeed, Summit offers more features and benefits than any other Online OSHA 10- & 30-Hour training on the market. Summit offers over 600 training programs available in online, streaming video, and DVD formats, particularly online OSHA 10 & 30 Hour and online HAZWOPER training. Accordingly, each of Summit’s expert training solutions teach best safety practices and hazard awareness for hundreds of OSHA, DOT, and EPA compliance requirements to reduce costly accidents and injuries in the workplace. 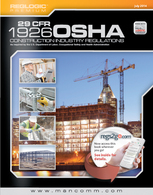 These “OSHA Books” lists all of the federal OSHA standards for either construction or general industry. Use your member benefits to save $$ on these pricey yet coveted manuals! 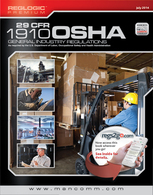 Unquestionably, compliance with OSHA regulations is a key concern for every type of business. Generally, compliance not only allows you to avoid fines and penalties but additionally results in a safer workplace – which unquestionably lowers workers’ comp rates and significantly increases productivity! Without a doubt, the Sunshine Safety Council can provide supervisor or front line employee training for most OSHA standards. Individual OSHA Standards: At the present time training is available to meet the requirements of specific OSHA standards such as Confined Space, Trenching & Shoring, RCRA, Aerial Lift Safety, Bucket Truck Safety, Powered Industrial Trucks, and others. This training is generally done at your location to allow it to be customized to your environment, equipment, and policies. Of course group rates are available upon request. See our Forklift Training page for detailed information. Other Available Safety Training: At this time training is usually done at your location to allow it to be customized to your environment, equipment, and policies. Additionally, Group Rates are available upon request.